This memorable and controversial video (which was banned by MTV in the U.S. until 1991) was a parody of UK soap opera Coronation Street, in which all of the band members dressed in drag. Lead singer Freddie Mercury's character was based on Bet Lynch and Brian May's character was based on Hilda Odgen. It was directed by David Mallett and cost around £100,000 to shoot. Filming took place at Limehouse Studios over two days on 22nd March and 4th May 1984. The video also features a piece with the Royal Ballet, for which Freddie Mercury shaved his trademark moustache to portray Nijinsky, although he had kept it for the parody part of the video. 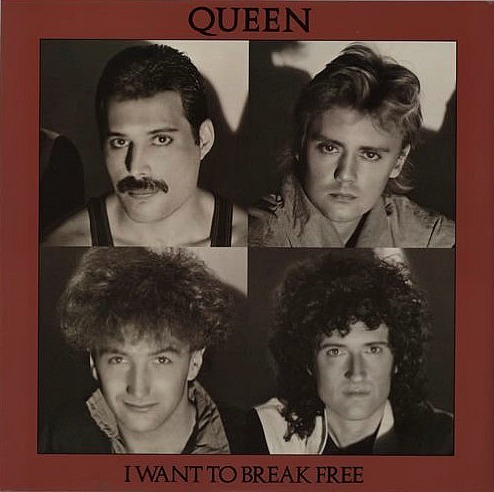 "I Want to Break Free" was released on 2nd April 1984 as the second single from Queen's 1984 album The Works, after "Radio Ga Ga". 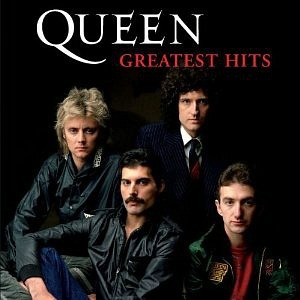 The single entered the UK singles chart at No.18 on 18th April, climbing to No.5 the following week and reaching a peak position of number 3 on 22nd April, with Phil Collins "Against All Odds" at No.2 and Lionel Richie's "Hello" at No.1. The song remained at No.3 for three weeks, with Duran Duran's "The Reflex" at No.1 and Phil Collins at No.2 for the next two weeks. The song was in the UK chart for fifteen consecutive weeks. The song was penned by the band's bass guitarist, John Deacon during 1983.